JOY is the revolutionary new range from Rexel. The JOY range is ideal for schools, university students and for the office. 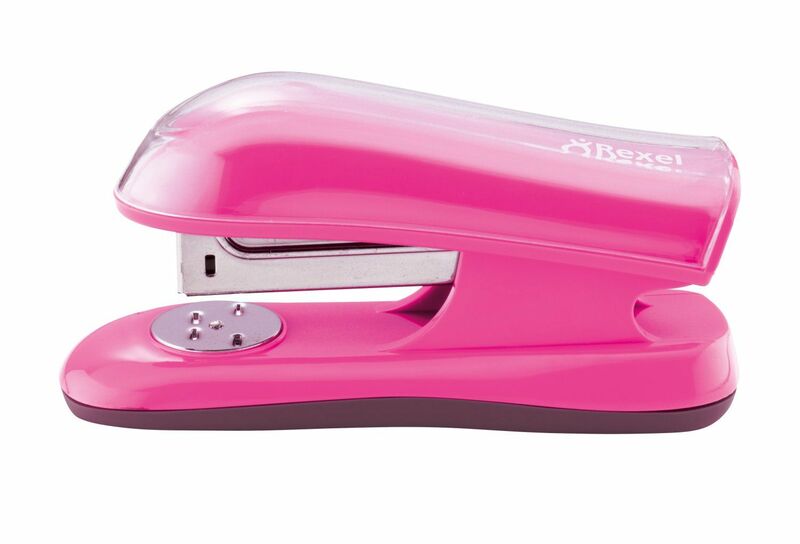 The JOY half strip stapler is durable with a stylish, high gloss, pretty pink finish. It opens fully for easy refill of staples and is easy to use. The JOY stapler has the punch capacity of 20 sheets of paper and has a soft feel, non-slip rubber base, for a more accurate punch.